Shopping for quality car deals in Oakville is easy at Budds’ BMW Oakville. We offer a comfortable, stress-free environment with experienced associates who take the time to get to know you to help you find the car of your dreams. The quality of our cars is equally matched by the quality of our team. At Budds’ BMW Oakville, we take pride in the exceptional customer service that we provide from the first moment you walk into our showroom. Come by and check out one of our September Showroom Specials! The 2016 BMW 650i xDrive Gran Coupe is luxury and elegance in motion. Glacier Silver Metallic exterior with Black Extended Nappa leather interior, this car is both cool and hot at the same time. 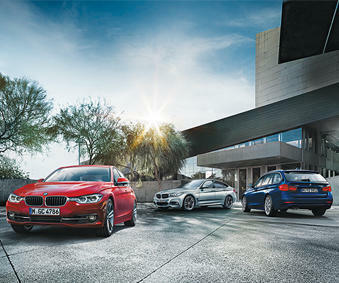 It includes the M Sport Edition, a Harman/Kardon Sound System and Driving Assistant Plus. It also comes complete with a no charge scheduled maintenance package for 4 years/80,000 km. Priced at $115,023, with our September Special you can lease it from $1,580/month + tax, 20,000 km/yr for 39 months at 1.9%. Total due on delivery of $7,415. Excess mileage charge at lease end:$0.30/km. Offer ends on October 1st. Our outstanding customer service continues with our service team. We are committed to providing you with the best care for your BMW using only BMW genuine parts every time. While we work on your car, you can sit back at our relaxing bistro or catch up on some work at one of our business workstations. Visit Budds’ BMW Oakville to find out more about our September Specials and take one out for a test drive you won’t soon forget.